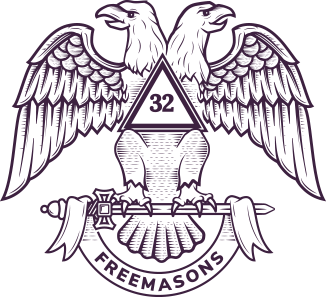 The Ancient Craft Degree Team (ACDT) was established over seventy years ago to exemplify the Sublime Degree of Master Mason in the lodges of the Northeastern Area of Illinois. Since every Scottish Rite Mason must also be a member of an Ancient Craft Lodge, we enjoy opportunities to express our appreciation to lodges which have provided us with members since the Valley of Chicago’s founding in 1856. The ACDT is comprised of brethren who are highly proficient in the Standard Work, some of whom are also commissioned instructors. Our goal is to exemplify the ceremonial work in those lodges that from time to time may wish to have the team visit their lodge to ensure that their candidate receives an optimal Third Degree conferral. How does the ACDT work? We function as a team and commit to Third Degree conferrals in advance to ensure all slated positions can be filled by our own members. On other occasions, individual team members may independently and at their own discretion fill openings on slates such as lectures, assisting with the second section of the Third Degree, etc. However, when a lodge requests a Third Degree conferral be handled by the ACDT, it is expected that the slate will be comprised entirely of our team members and that the Third Degree will be conferred upon a single candidate. How are degree conferrals scheduled? Contact the Chairman, who will ascertain your level of interest and how you might become a valuable member of our team and its endeavors.